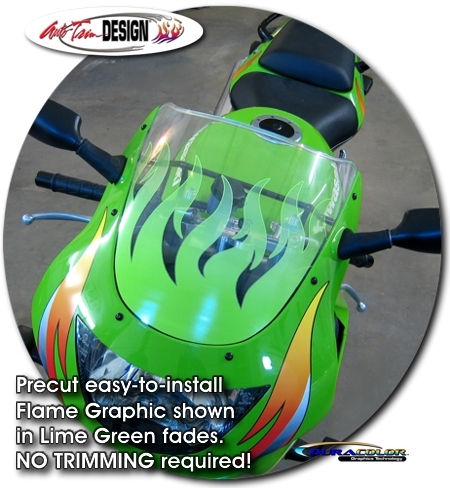 Make you bike "HOT" with this awesome Windshield Tribal Flames Graphic kit. Available in twelve (12) different colors, this graphic uniquely fades from solid at the bottom to a light fade at the tips of the flames. This graphic is precut and easy to apply - no trimming required!